Nick named ‘Hungry’ owing to his alleged predisposition towards kicking for goal, regardless of the presence of unmarked team mates in better positions, whenever he was within range, the immensity of Kevin Bartlett’s contribution to the Richmond Football Club over 403 VFL games in 19 seasons totally belied this assessment. Combining fleetness of foot with evasion skills of the highest order, Bartlett was able to keep his wispy frame comparatively free of danger in the hurly burly cauldron of league football for a longer period of time than any of his predecessors. Many times he was a marked man, with opposition sides setting out to stop him by any means possible, paying scant regard to the laws of the game in the process, but Bartlett almost invariably escaped unscathed. As for the opposition sides, ‘KB’ would gleefully provide them with plenty of reasons for bemoaning their failure to impede him, with the scale of the damage wrought invariably directly proportionate to the importance of the game. Thus you will find the name of ‘K.Bartlett’ listed among the best players in the grand finals of 1967, 1969, 1972, 1973 (BOG), 1974, 1980 (Norm Smith Medallist). Perhaps the most persuasive testimony to his greatness, however, is that in what was almost the greatest era in the history of the Richmond Football Club, Bartlett won the senior team’s best and fairest award on no fewer than five occasions. 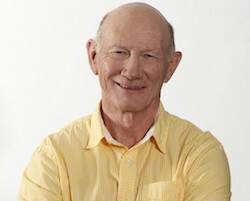 Following his retirement as a player, Bartlett developed a successful career as a sports commentator and broadcaster on both television and radio. He was a member of the AFL’s rules committee for many years until he retired on 4 March 2014. as well as the selection panel for the All-Australian Team and AFL Rising Star awards. On September 1, 1987 he was appointed coach of Richmond. KB now has a very popular talk back daily radio show on SEN, he is an inspiring and controversial speaker who can make your event the ‘must go’ event of the year.